My niece said this one day in January after school. It broke my heart, and reminded me of my own thoughts and that it does seem like kindness is at an all-time low. I am not sure if that is true. It just seems that way. I assume media companies make more money if they highlight the cruel and disturbing rather than the kind and thoughtful. If I look in my neighborhood, my family and at work, I see intentional acts of kindness all around me. Yet, I find kindness not to be so simple. I learned from living in the Midwest that there is a politeness that disguises itself as kindness but is not. It can be a shield to mask true feelings and prevent truth from surfacing. There is an inauthentic kindness that can arise from pity and feeling sorry for others. We see a homeless man in a wheelchair on the sidewalk asking for money. Our generosity might arise from real compassion. It might, however, be from pity so we throw the money in the cup, never making any human contact, and dash away. 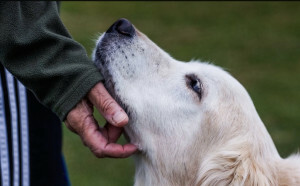 Kindness can also be a mask for obligation: I must take my neighbor’s dog for the weekend–I do so not from a place of kindness or connection, but from a place of obligation, which is a weapon of scarcity. Can I not cause harm? How can I cause the least harm? We at Seven Stones invite you to join us this month to cultivate kindness at home and at work. Here is a 15-minute meditation practice that you can incorporate into your daily routine. If all of us take a stand for kindness this month maybe my niece won’t be so worried about the larger world.